Saint Valentine’s Day, also known as Valentine’s Day or the Feast of Saint Valentine, is a holiday observed on February 14 each year. It is celebrated in many countries around the world, although it is not a holiday in most of them. St. Valentine’s Day began as a liturgical celebration one or more early Christian saints named Valentinus. Several martyrdom stories were invented for the various Valentines that belonged to February 14, and added to later martyrologies. A popular hagiographical account of Saint Valentine of Rome states that he was imprisoned for performing weddings for soldiers who were forbidden to marry and for ministering to Christians, who were persecuted under the Roman Empire. According to legend, during his imprisonment, he healed the daughter of his jailer, Asterius. An embellishment to this story states that before his execution he wrote her a letter signed “Your Valentine” as a farewell. Today, Saint Valentine’s Day is an official feast day in the Anglican Communion, as well as in the Lutheran Church. The Eastern Orthodox Church also celebrates Saint Valentine’s Day, albeit on July 6 and July 30, the former date in honor of the Roman presbyter Saint Valentine, and the latter date in honor of Hieromartyr Valentine, the Bishop of Interamna (modern Terni). In Brazil, the Dia de São Valentim is recognized on June 12. The day was first associated with romantic love in the circle of Geoffrey Chaucer in the High Middle Ages, when the tradition of courtly love flourished. 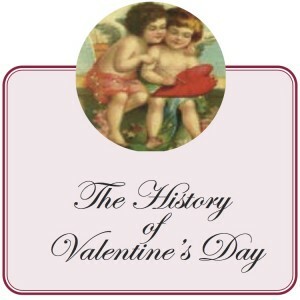 In 18th-century England, it evolved into an occasion in which lovers expressed their love for each other by presenting flowers, offering confectionery, and sending greeting cards (known as “valentines”). In Europe, Saint Valentine’s Keys are given to lovers “as a romantic symbol and an invitation to unlock the giver’s heart”, as well as to children, in order to ward off Saint Valentine’s Malady. Valentine’s Day symbols that are used today include the heart-shaped outline, doves, and the figure of the winged Cupid. Since the 19th century, handwritten valentines have given way to mass-produced greeting cards. Valentine’s Day – Wikipedia, the free encyclopedia.